A Japanese term for “Good Change,” Kaizen is synonymous with “Continuous Improvement” in Lean & Six Sigma business practices. Kaizen events are short duration improvement projects with a specific aim for improvement; typically they are week long events led by a facilitator with the implementation team being predominantly members of the area in which the kaizen event is being conducted plus a few additional people from support areas and even management. Whether your team is in need of a new, specialized piece of software to help streamline your processes, or are simply needing to remove waste in daily tasks, a Kaizen event is the foundation on which to build. Through Kaizen, we’ll use Lean and Six Sigma tools and principles to effectively understand current process baselines, identify ideal future states, and develop actionable implementation plans to achieve that future state. Kaizen Events follow the DMAIC Process of Continuous Improvement, with the goal of Eliminating Waste in your process. The purpose of this step is to clearly articulate the business problem, goal, potential resources, project scope and high-level project timeline. The purpose of this step is to objectively establish current baselines as the basis for improvement. This is a data collection step, the purpose of which is to establish process performance baselines. 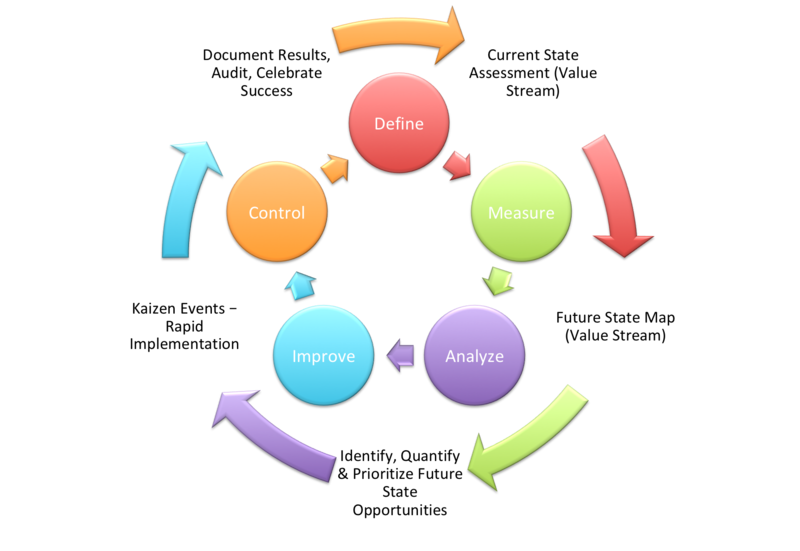 Good data is at the heart of the DMAIC process. The purpose of this step is to identify, validate and select root cause for elimination. A large number of potential root causes (process inputs, X) of the project problem are identified via root cause analysis. The purpose of this step is to identify, test and implement a solution to the problem; in part or in whole. This depends on the situation. Identify creative solutions to eliminate the key root causes in order to fix and prevent process problems. The purpose of this step is to sustain the gains. Monitor the improvements to ensure continued and sustainable success. Create a control plan. Often the most difficult step, but necessary in order to prevent falling back to old habits. Tired of doing things "the way we've always done it?" Yes, let's do a Kaizen! During a Kaizen Event, you and your team are instructed in the use of specialized improvement tools and methodologies, which will then be used by each team member to actively participate in your improvement events. 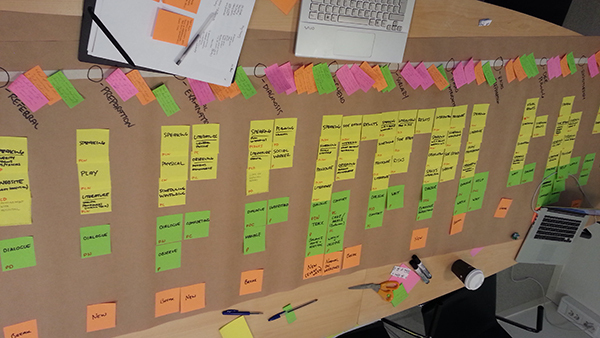 Seen here, a Value Stream Map is one such tool that is used to not only map out your current process, but also to make all waste in the process visible for easy elimination. Copious amounts of waste can occur in the workplace, particularly in a manufacturing process, but do you know what the eight most commons wastes are and how they impact your organization? During your team’s Kaizen Event, you’ll learn about 8W – The 8 Forms of Waste, how to identify them in your process and in other areas of your work, and most importantly – how to eliminate them. Your team will “Learn to See” Waste. They will leave the event with a new mindset, and eyes that now easily identify waste in all areas of life! Unnecessary movement of product, materials or information. Unnecessary movements by people (e.g., walking). Production that is more than needed, or earlier than needed. More work or higher quality than is required. Errors caused by rework, scrap or incorrect information. "This is the way we've always done it" is useless.